Have you ever thought the reason behind these companies ruling the market? 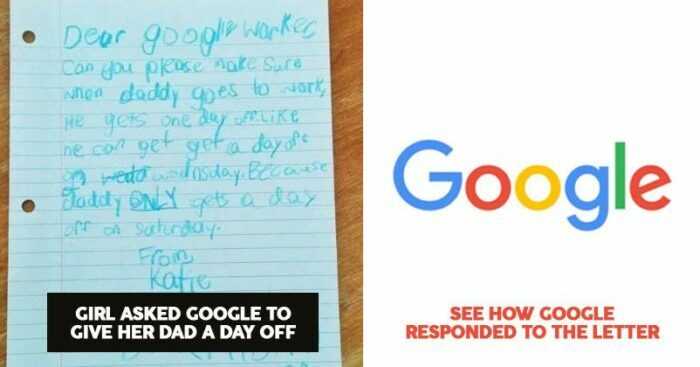 A cute little daughter of an employee working at Google decided to write to Google, asking to cut him some slack with his work schedule. 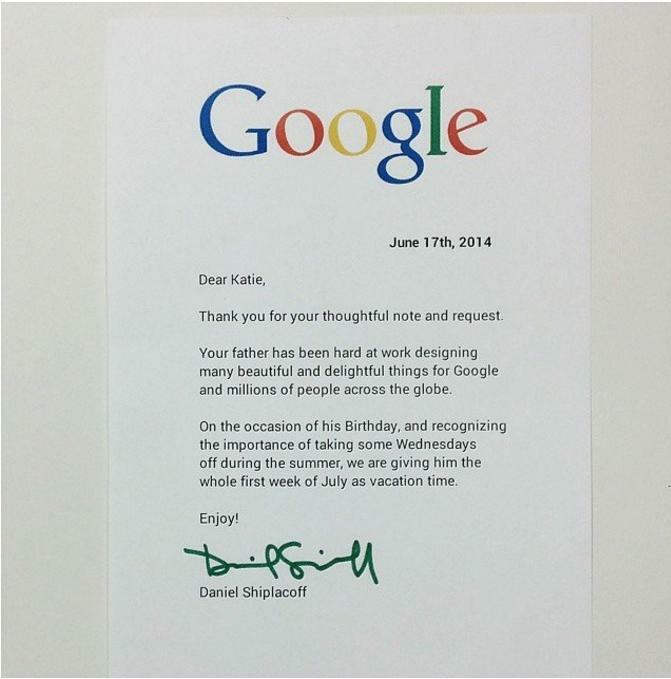 She wrote the letter with crayon, which made Google admire the cuteness of the girl and her concern about her father. In the letter, she pleaded Google to manage a day off in the week, like Wednesday, because he only gets a day off on Saturday. The little girl made us all go ‘Aww’ as she wrote about it was his daddy’s birthday as well as it was summers. 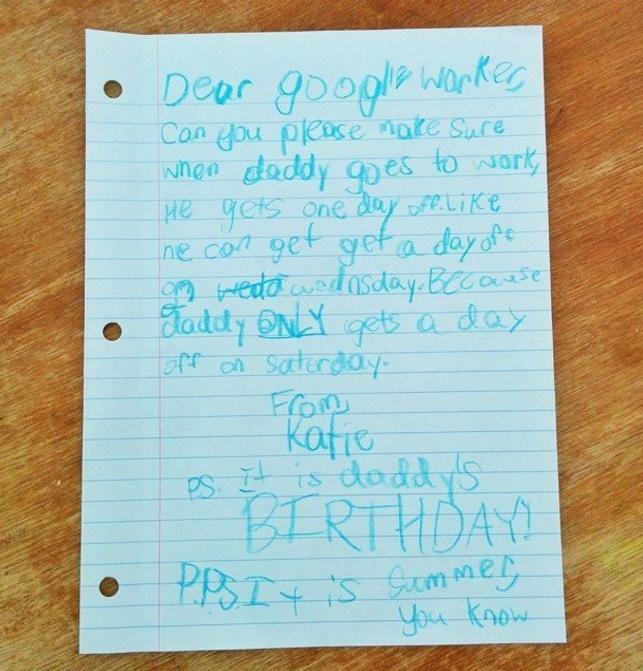 To this, Google wrote back to the cute little girl, not only complementing her dad on his hard work but also gave him a bonus week off. Maybe the crayon did the magic or the final nudge was because it was her daddy’s birthday. But Google has always been a very supportive entity for its employees. It is the emotional connect that Google maintains with each of its employees, that makes them work for Google in a more effective and efficient manner. Maybe this act of caring seems simple in nature, but it is, in itself, a huge sign of humbleness that earns esteem for the company.